. . . promise . 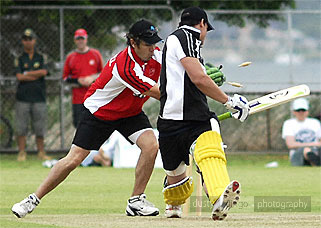 . .
We have a large selection of photographs from a number of Australian and international tournaments, and a few other cricket-related happenings such as the star-studded Ryan Campbell Testimonial match in 2006. All are available for purchase for personal use, and commercial licensing enquiries should be made through the Contact form on this site. And a little reminder for those amongs us old enough to remember, the World Masters and World Cup tournaments in New Zealand were actually shot on film! . . .
invited to officially photograph the Indoor Cricket World Cup in Wellington, New Zealand in . . . .
invited to officially photograph the Indoor Cricket Masters and Under 18 World Cups in Christchurch, New Zealand in . . ..